Devotees of all things Japanese- UNITE! If you love Japan like I do, you know that toys are a big part of their popular culture. From toys for children to play with; limited edition wallet destroying collectables; or lucky boxes that you find in Japanese convenience stores- Toy Tokyo has stocked them all. Previously located on the 2nd floor of a building on second avenue, they've recently moved to a spacious storefront a couple blocks away that does their expansive inventory much more justice. 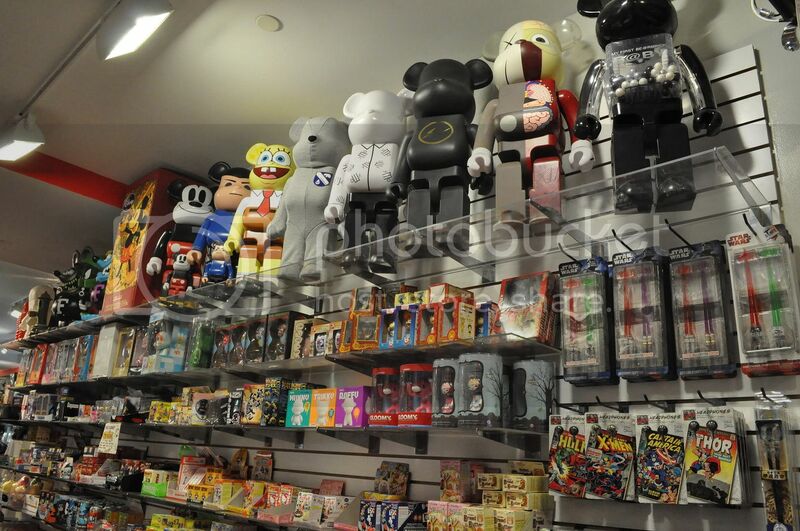 Though their collection has an emphasis on Japanese goods, they also have a massive assortment of US made vintage and present-day collectables covering all media from t.v. shows, to movies to comic books. Take a look at some of the amazing items that fill Toy Tokyo's shelves by clicking on the link below. We've loved Toy Tokyo since we first went in about 6 years ago, and we were really excited to explore their new store. 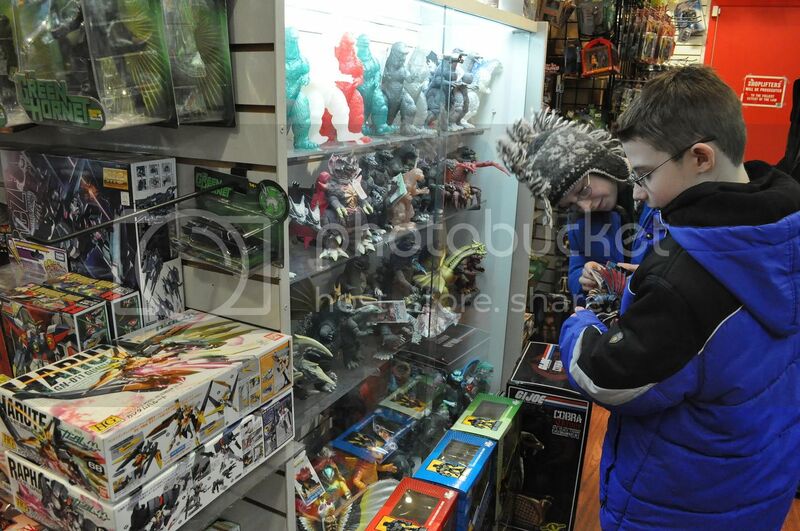 We highly recommend a visit for people of all ages- even if you don't collect toys, there's so much to look, point, reminisce and laugh about. 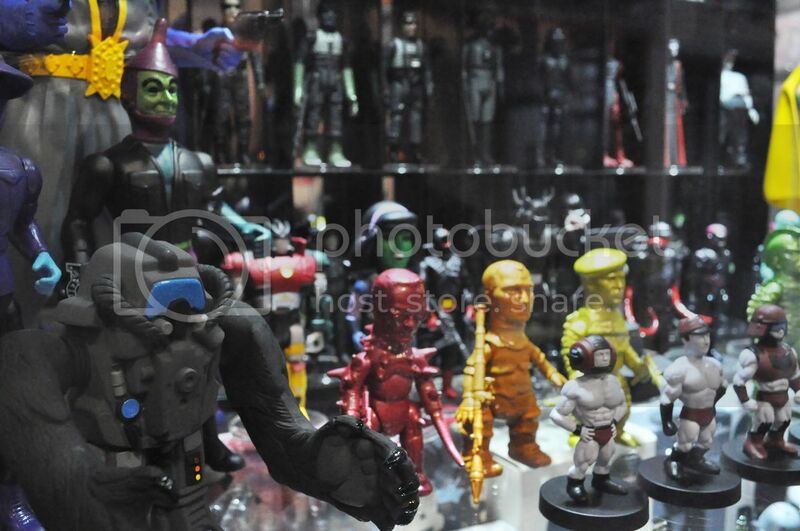 Bearbricks, produced by Japanese collectable toy maker Medicom, are some of the most sought after items at Toy Tokyo. They come in different sizes, but the 400% ones which stand about a foot tall line the shelves ready to be placed in a collector's display case. Our favorite is the Ironman. 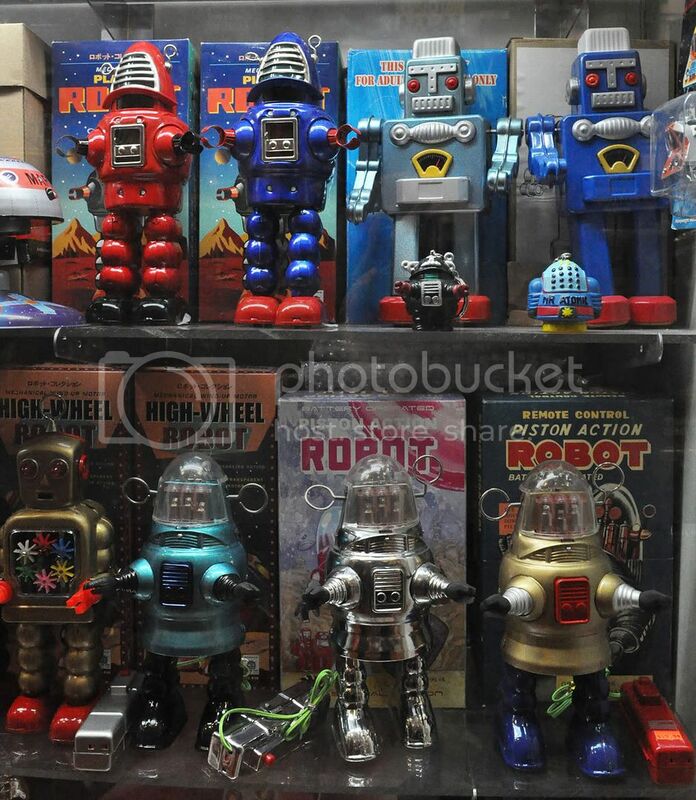 Vintage Robots!!!!! I probably need not say more, but these are so cool and their rarity carries a price tag to match. We all know about Godzilla and the evil monsters he does battle with. Toy Tokyo has you covered in the movie monster category, they even have editions of the slow moving, city stomping beast dating back to the original movie. One area that Toy Tokyo connects to the New York City streetwear community is their relationship with KAWS. 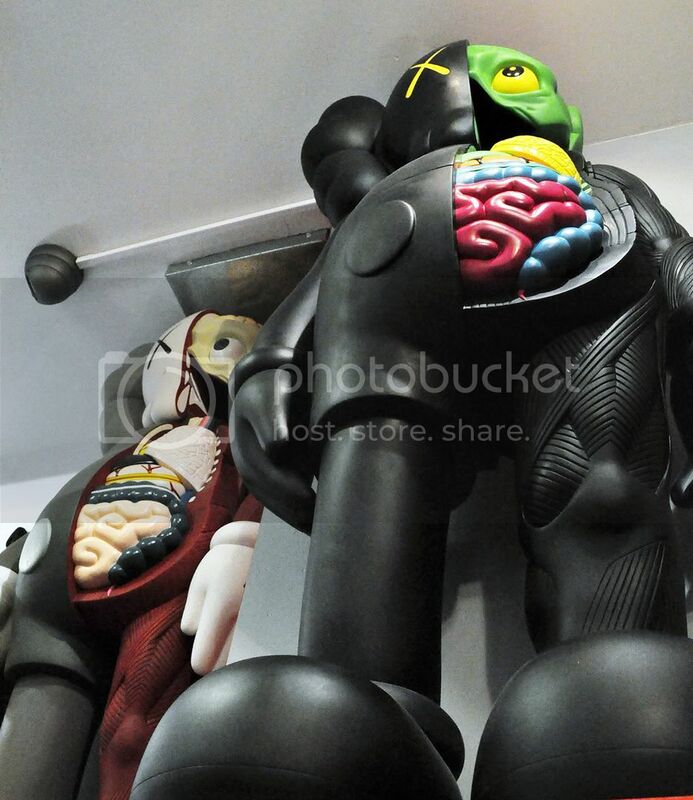 They stock all of the graffiti artist's latest toys and they have stock of his most famous past releases including these huge 4 foot tall dissected companions. 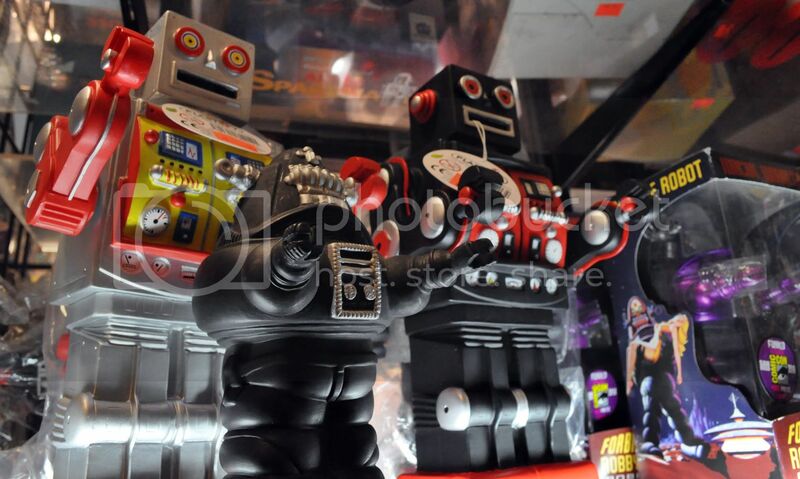 These crazy items are indicative of what you'll find on the smaller shelves in Toy Tokyo. Are those monsters with human heads carrying guns? Yes. Lucky boxes are a popular way to get small collectables in Japan. You buy a box for $5-10 and there is a random toy inside. Each series has from a handful to twenty or thirty toys to collect and each box is a gamble, it's good fun if you have money to burn.